What do big brands and small brands have in common? They all can create great content equally. There can be content created with an iPhone getting more views and engagements than content created with a million dollar budget. So, if you think you don’t have the ability to create blockbuster content, continue reading as this post provides great content planning tips to compete with big brands. The strength of content as a marketing tool increases as more people consume content from brands more than ever before. Especially, as you use the content to build your digital brand. During your content planning process, you want to ensure that you’re optimizing the content to be appealing to your target audience as well as to search engines. I mean, how else do you expect your content to be found? I often come across many smaller brands that are stuck on the content creation hamster wheel. Meaning they continue to create content without focusing on promotion or engagement around newly released content. If you find yourself in this situation, stop what you’re doing and develop a PLAN for your content before developing the content itself. If you have yet to develop a comprehensive content strategy (or have no strategy at all), I would at least begin to develop a list of keywords to help guide your content creation. A keyword is a word (or phrase) you want searchers to find your page through. The keyword or key phrase will clearly identify what your page is about. But, it’s not as simple as it seems. You cannot simply decide what your page’s search keyword will be. If you want to maximize your SEO, you’ll need to understand who are your customers and what they are searching the internet for. A keyword or phrase is a term or phrase that many searchers will use when they are looking for information. Take advantage of this by having your selected keyword represent your content well. How to You Choose A Keyword? Before choosing a keyword, do your research. Keyword selection shouldn’t be a random process. Your selection should pre-meditated and a logical choice that will maximize your SEO. You want to understand who your ideal readers are and use the same natural language and terms as they do. Don’t use more than one keyword or phrase per page. Remember, each page should be focused on one unique keyword or phrase. If you want to make this process easier, the Google Keyword Planner tool is invaluable. It will help you determine or test the best keywords. DBI TIP: You don’t need to run an active campaign to use the Google Keyword Planner tool. But, you’ll need to fully set up an Adwords account. When you are searching for new keywords with a phrase, website, or category, Google Keyword Planner will supply you with keywords that can describe your product, service, or content. Search for new keywords using a phrase, website, or category. Return search volume data and trends. Use the keyword planner tool to search for new keywords using a phrase, website, or category. When you type in keywords, the system will suggest relevant keywords. Keyword Planner can help you narrow down your keyword. Let’s say you run an eCommerce website that sells organic food. You are writing a blog post about health benefits of an organic coffee. To determine the best keyword, you wouldn’t want to use “coffee” as the keyword because it is too broad. You also wouldn’t want to use “health benefits of organic coffee” since it is too specific and will limit your outreach. After that, you’ll be able to see Ad group ideas and Keyword ideas. You can click on each of the words to see the average monthly searches, competitions, and suggested bids. How do you know which keyword is the best? Consider these three factors to narrow down your search when evaluating keywords. Higher commercial intent and higher bid, which is the ease of converting the traffic into paying customers. For a keyword shown in Keyword Planner, the important data you want to review is the average monthly searches and competition in order to get search volume data and trends. Average monthly searches (“Avg. monthly searches”) tells you the average number of times people have searched for a keyword and its close variants based on the targeting settings and date range you’ve selected. Competition tells you the number of advertisers that showed on each keyword relative to all keywords across Google. Note that this data is specific to the location and Search Network targeting that you’ve selected. In the “Competition” column, you can see whether the competition for a keyword is low, medium, or high. In the end, you want to choose a keyword that your customer will use to look for your business. A keyword with a high number of searches and low competition will maximize the online traffic to your content. Perhaps one of the most under utilized content planning tips is repurposing. Producing new content doesn’t have to start with new content. Repurpose! The more content you produce, the easier you will be recognized by search engines. 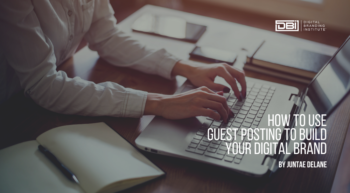 As you consistently publish and promote high-quality content, you encourage referral traffic. This means that your business has a better chance of appearing in search results when users search for those words and phrases. When you prepare an abundance of information for a topic, repurposing can help strengthen the key information and organize the content better. Improve and update popular and valuable old content to maximize the impact. Repurpose your content to tailor it to different segments of your target audience. Learn who your target audience is and segment your audience into different buyer personas. For different groups, we can slightly adjust our topic. An example of tailoring content would be a law firm that creates content on a topic like “find an experienced trademark attorney” for those customers who want to register a trademark. Or other customers may search for information about protecting their intellectual property, and the old content can be repurposed for this topic as well. Ultimately, you want to use tailored content for each of your different customer segments. People have different preferences when it comes to receiving messages. They absorb new information in different ways, so you can repurpose content based on learning styles. According to Neil Fleming’s VARK model, there are four sensory modalities correspond with the different learning styles which include visual learning, auditory learning, read/write learning, and kinesthetic learning. We want to attract our potential customers in a way that accommodates their preferred learning style. This is an important element of your content planning. Create a detailed outline of content type, information contained, and the platform used to distribute the article, slideshow, Pinterest, quiz, infographic, video, or consumer-generated content (CGC). You create an outline to plan out the best article. With this outline, you can assemble more appealing content. For example, if you were writing articles about tips for living a healthy life, you’d want it to be short with fact figures and graphics. You could even create five tips in three categories for food, fitness, and lifestyle. This helps break up the content and make the experience less like reading a textbook. You could also incorporate slideshows as a form of content. Continuing with the example from above, try presenting the three categories as slideshows. Then throw in stats, quotes, and advice to make engaging slides. You can use these elements to create a presentation that recaps the main points in your original content. Then, when you share a presentation on SlideShare, you will expand the opportunities for people to engage with your content. Pinterest holds untapped potential. Incorporate Pinterest into your strategy by creating separate boards different tips. Fill the boards with relevant content and target to an audience that prefers visual content. Just make sure to include plenty of attractive imagery! Some readers love interactive content! Edit the three tip posts so that the content can be presented as an interactive quiz. Make three separate infographics for each of the three categories. You can use a professional desktop application like Adobe Illustrator to put your infographic design together or you can go the less expensive route with the following tools. These tools are evolving quickly and are easy to use. Turn the infographic elements into an animated video. Not everyone prefers text content, so repurposing content into podcasts or videos can help you connect with a broader audience. You can even use old content as a springboard for discussions on a podcast or video series. Try including a transcript and posting podcasts and videos to your website. If you’ve already covered all of the above, try Twitter posts. Turn your tips into user consumer-generated content by asking consumers to share their own health tips. For Twitter Posts, take advantage of the social aspect of the platform get others involved by sharing their thoughts to add to the power of your posts. When you think you’ve covered all your bases, think again! Don’t forget about the power of email newsletters! You can take repurposed content and deliver it to loyal customers right to their inboxes weekly, bi-weekly, or monthly. This helps maintain loyal customers and readers. No matter the size of your digital brand, you have the capability to create great content that consumers love. But you MUST follow some of the content planning tips outlined in this article. Start with defining your keywords for content; look at your preexisting content to see if it can be repurposed; and finally, know how your target audience likes to consume content. I once heard that a vision without a plan is just a hallucination. So, if you have the vision to create great content…understand that it first starts with a plan.